The LMX1027 Crossmaxx® Wall mounted bar rack (black) is ideal for storing bars neatly and safely to save space. 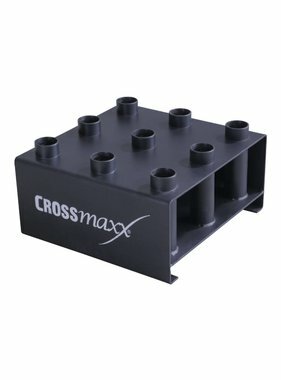 The LMX1027 Crossmaxx® Wall mounted bar rack (black) rack holds up to six 50 mm bars. A strong frame and a distinctive, tight PVC lining which protects the bars from being damaged mean it is suitable for intensive commercial use! The rack is matt black powdercoated so it is perfect for CrossFit boxes.